WASHINGTON — Officials from two of the nation’s largest veterans groups attacked this weekend’s National Football League protests as “disrespectful” to the American flag and the country. “There is a time and place for civil debate, and wearing team jerseys and using sporting events to disrespect our country doesn’t wash with millions of military veterans who have and continue to wear real uniforms on real battlefields around the globe,” said Keith Harman, national commander of the Veterans of Foreign Wars. 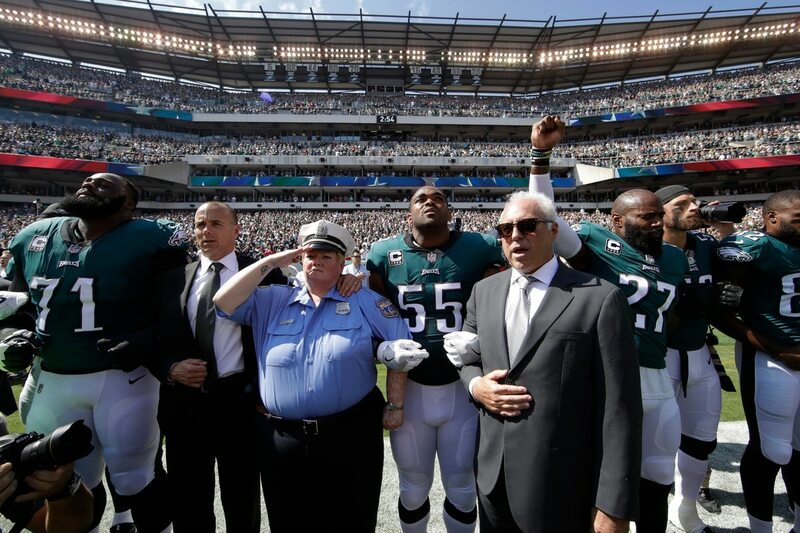 More than 250 players across 28 NFL teams took part in protests Sunday surrounding pre-game flag ceremonies and the singing of the national anthem after comments from President Donald Trump earlier in the weekend ridiculing players who refused to stand for those tributes. The anthem protests began last year when then San Francisco quarterback Colin Kaepernick opted to sit during the anthem singing as a protest against racial inequality and police brutality. 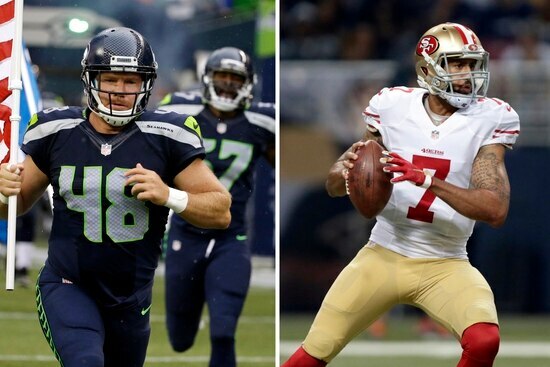 Kaepernick became a free agent earlier this year and has not been signed by any team. Numerous NFL players and executives took exception to Trump’s comments, defending the rights of league employees to express their beliefs. League commissioner Roger Goodell said in a statement the president’s comments showed “an unfortunate lack of respect” for the sport and its fans. Officials from the American Legion echoed the VFW statement on the protests, calling them “misguided and ungrateful” demonstrations. “There are many ways to protest, but the national anthem should be our moment to stand together as one United States of America,” said Legion National Commander Denise Rohan in a statement. Several teams opted to stay off the field during the pre-game ceremonies to avoid political statements. Among them were the Pittsburgh Steelers, but team offensive lineman Alejandro Villanueva — an Army veteran who served in Afghanistan — broke ranks with his teammates to participate in the anthem event. National anthem protests took place throughout the National Football League on Sunday. Harman, a Vietnam veteran, praised Villanueva for the move. NFL anthem protests: Sit or stand? Intense NFL action dominated the American sports landscape Sunday, but it’s what happened before the games that garnered the most headlines. Multiple players involved in the protests said their actions were not directed at veterans, but instead the issues of racial divisions and divisiveness.